Turns out we might not get the game as early as we hoped. 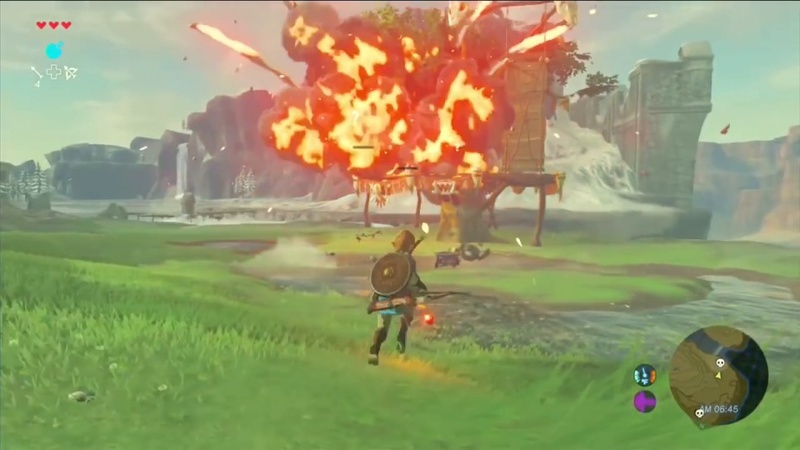 Since The Legend of Zelda: Breath of the Wild was shown off back at E3, we've been assuming that when the game releases for the Nintendo NX, it will be as a launch title. There were many reasons why one might assume this; the game has been shown off extensively at various game shows, and it seems to be in quite the playable state even now. However, since Breath of the Wild was officially revealed, there has been no word from Nintendo that the game would be an NX launch title. Every release date for the game simply states '2017' and the one source that claimed a March 2017 release date, the Nintendo press site, removed it quickly after it was put up. The site that brought this to our attention was the Australian outlet Finder, and it does certainly look like Nintendo aren't committing to saying the latest Zelda game will be an NX launch title. It's possible that the game might not be finished before the launch of the console, meaning they want to hold off giving it a release date just in case. Recently, the Breath of the Wild Amiibo was accidentally uploaded to the Nintendo of Europe website with a 04/3/2017 release date, giving us hope once again that it'll be a launch title, but as of right now we just don't know, and it's impossible to say. It's a bit of a mess, and we may not know a concrete release date for the game until the NX is officially revealed in the coming months. What are your opinions on the situation? Do you think Breath of the Wild will be finished in time for the release of the NX, or will we have to wait a while before we can get our hands on it?